Like it or not the holiday shopping frenzy is upon us. No doubt your dealership has already planned sales, an event or a variety of other holiday related activities. But during all your planning did you make sure to cover the mobile channel to best serve the majority of your shopping customers? 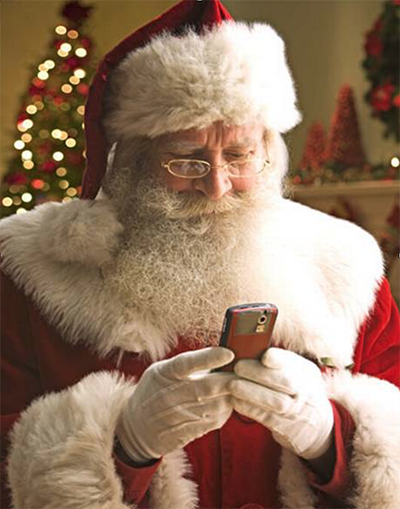 Below are just a few tips to help you make the most of mobile for this shopping season. And, if done well, can position you for continued retail success going forward after the holiday rush subsides. AWARENESS: Make sure your customers KNOW you have mobile channels for them to engage with. Every opportunity afforded to you to promoted your mobile club, mobile website, etc… you must do so. In-store signage, online banners or calls to action on social media, verbally share with customers if they join your mobile club there is an offer available to them. BE CURRENT: Don’t make your customers guess or wonder about inventory or specials. Through social media and your mobile alerts notify customers of in-stock items ready for purchase. Your limited time holiday items are a good way to get their attention. Create an urgency that you have something available but only for a limited time. Direct customers to your mobile website featuring your current inventory. CONSISTENT: Your customers will shop more in the las month and a half of the year than perhaps their rest of the year total. So be aware that they are looking for reasons to purchase from you and you must be consistent with your communication. If you are doing a 12 Days of Christmas promotion your customers will expect offers every day. So don’t disappoint them. But always be aware that your customer controls the relationship with you through mobile and you must not waste their time. RELAX: This one sounds completely contrary to what we equate to holiday shopping. But think about your customers mindset during the holidays. The stress of finding those perfect gifts can be overwhelming. So remind them why they love your store. They are comfortable and appreciate you providing events with music, food, drinks, demo rides and other entertainment. Let them know your still the destination to come visit for fun and relaxation and while they are there get those last minute gifts. SHARE: Fostering an image of inclusiveness and sharing should come second nature to your marketing strategy. Your customers love the experience you provide so make sure you are letting them know your still there for them through social media photos or MMS photos sent to them via text telling them why to come visit. MEASURE: Always measure your mobile activity and offers. Send mobile coupons but make sure you track redemption. Customers will look for these offers but you have to be on top of your game to make sure you aren’t doing your dealership a disservice by discounting or giving away products without tracking the ROI. This is not always an easy task but there are many tools to help you do this with little effort. PERSONAL: This can’t be emphasized enough. As we all get caught up in pleasing others for the holidays we often forget about ourselves. Keep that personal connection with your customers. Mention them by name in your text alerts. Use data you’ve collected about them to better communicate offers that suit their needs and wants. Customers will appreciate this attention and effort and will most certainly reward you with their business. And this extra effort will pay further dividends long after the holidays are over. It’s an important time for your business and your bottom line but it’s also very important to your customers that you’re there for them with what they need. Help make their shopping easier and more worthwhile and ultimately it will make for a great holiday season for all.